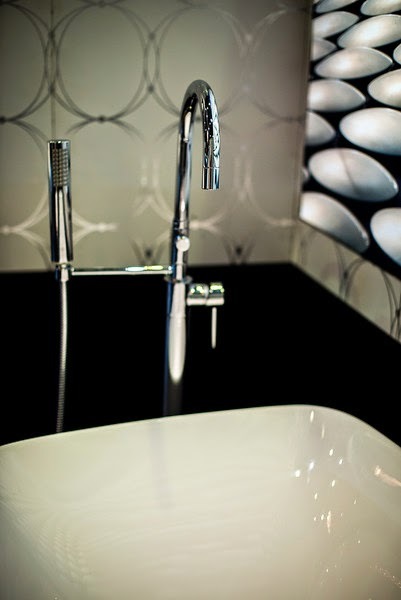 MoD Design Guru - Fresh Ideas + Cleverly Modern Design: Can a DXV Tub make you happy? Can a DXV Tub make you happy? 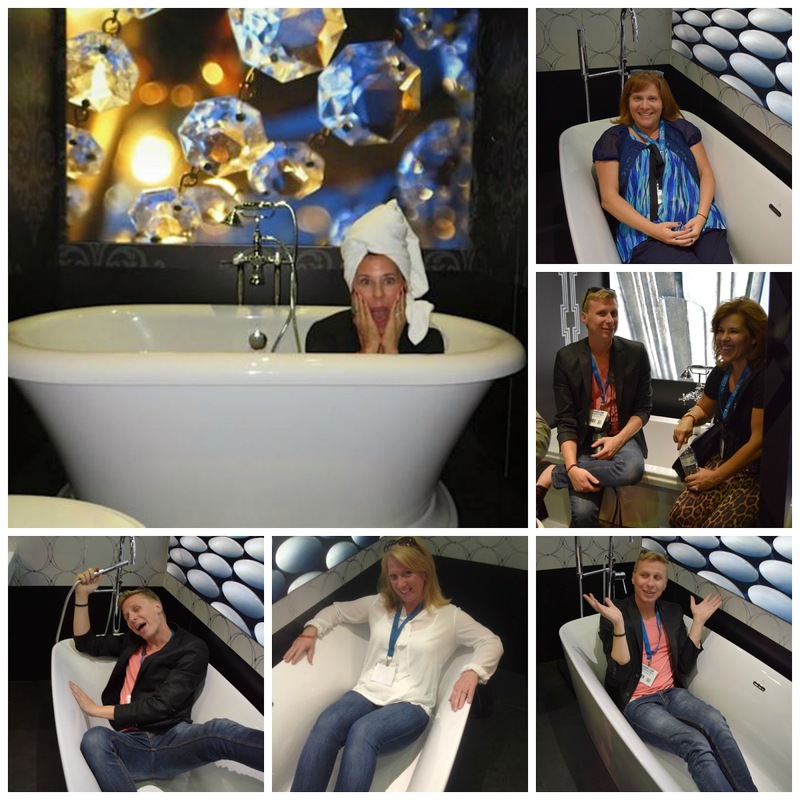 BlogTourCali designers at the West Edge Design Fair couldn't help jumping inside of the DXV tubs...it makes us happy! 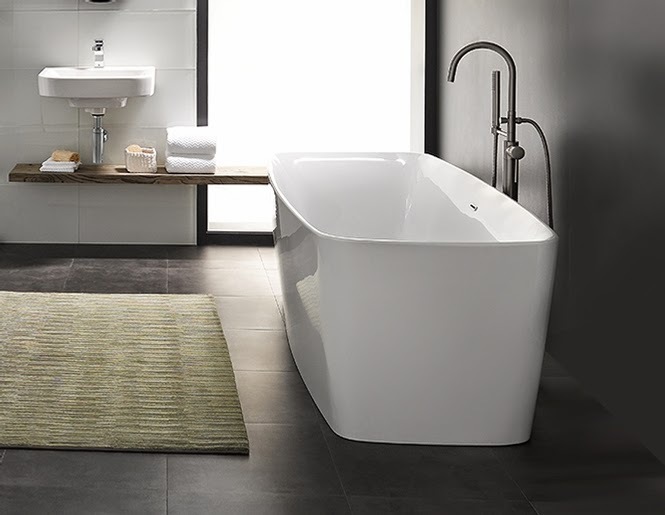 So, What is it about DXV Tubs? To start off, DXV stands for Decade 15. Clever, right? 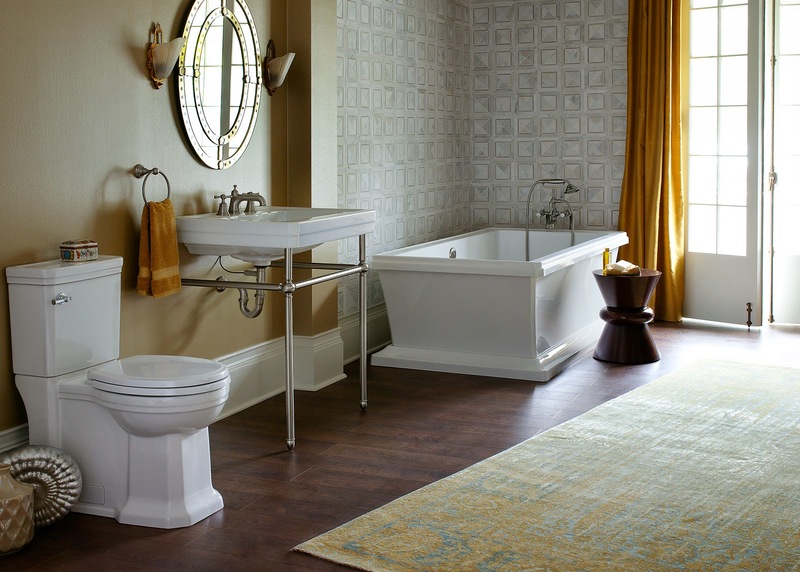 American Standard brand celebrates its fifteenth decade of business with the launch of DXV, luxurious fixtures inspired by significant eras in history. DXV breaks down four periods of design history to make it easier for the consumer to connect to what their own personal style is....For example, if you're a classicist, the St. George is perfect. If you are more a modernist, the Lyndon is a beautiful choice. So jump right in and feel them out like BlogTourCali designers. Its a win-win and makes everybody smile! As a modernist, I connect to the Contemporary collection with its clean lines and flowing corner detailing. I'm loving the depth; allows you to really soak and immerse yourself in the water while bathing. Ahh, spa like. Tubs today equate to luxury and taking time for yourself. 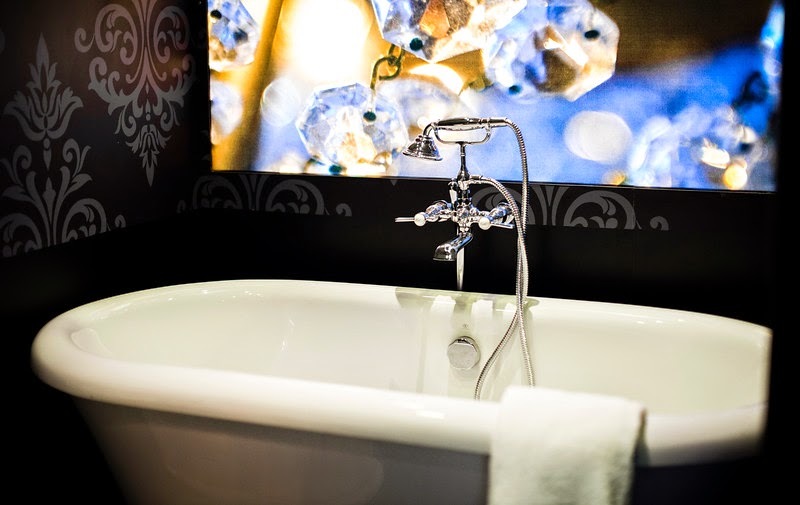 Bathing in the DXV Lyndon will make you feel like a million bucks. DXV , thankyou. You were an awesome sponsor of Blog Tour Cali!